Lassalle Idylle next to Vienna Fair, UN, Vienna Congress Hall, University of Economics is located in the 02. Leopoldstadt district of Vienna, a 19-minute walk from Vienna Prater Amusement Park and 1.1 miles from Kunst Haus Wien - Museum Hundertwasser. 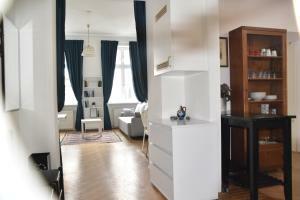 The property is 1.1 miles from Messe Wien Exhibition and Congress Center. 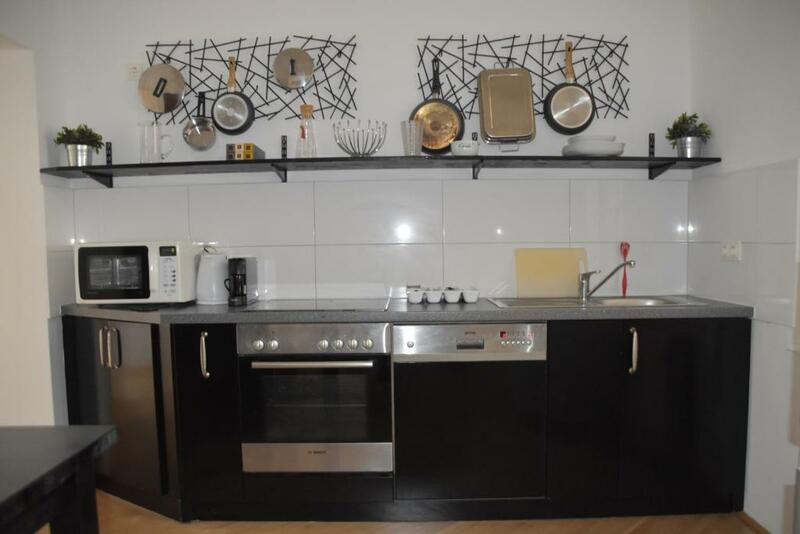 This apartment comes with a kitchen, a seating area, and a satellite flat-screen TV. The apartment also includes a bathroom with a shower and a washing machine. 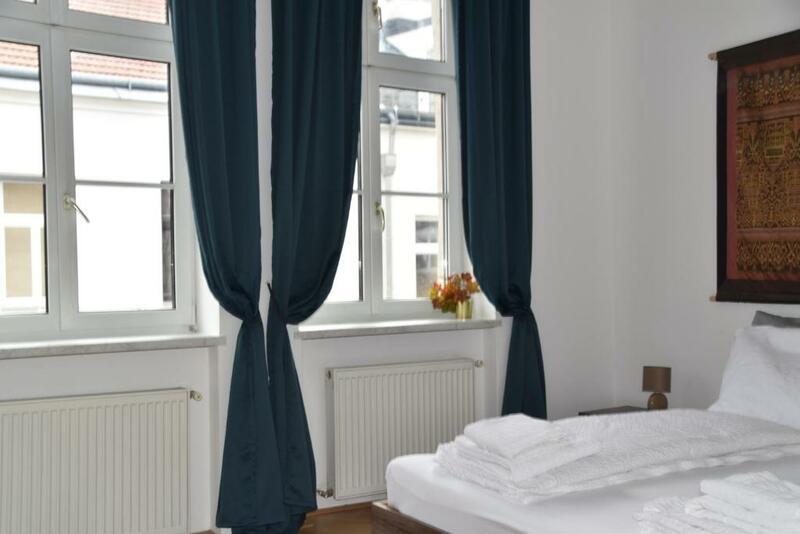 Austria Center Vienna is 1.4 miles from the apartment, while Ernst Happel Stadium is 1.9 miles from the property. The nearest airport is Schwechat Airport, 12 miles from Lassalle Idylle next to Vienna Fair, UN, Vienna Congress Hall, University of Economics. 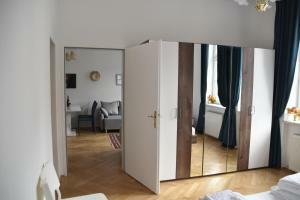 When would you like to stay at Lassalle Idylle next to Vienna Fair, UN, Vienna Congress Hall, University of Economics? The apartment (54m²) is newly renovated and furnished, very bright and friendly and is on the 3rd floor of a century building. All windows are towards a green and quite court yard. There are 2 separately accessible rooms in the apartment. One of the rooms is accessible via the kitchen area. 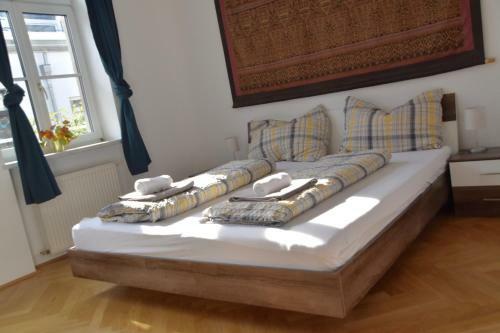 The other bedroom has 2 sofa beds (150x200cm) and can be used as living room as well. This room is accessible via the entrance area and can be separated from the entrance area via a curtain. Hallway and kitchen have a window and a beautiful entrance door in old Viennese style with parts made of milky glas towards the staircase. As light from the starecase might fall into the apartment there is a curtain protecting the living room from light and potential sound from the staircase. 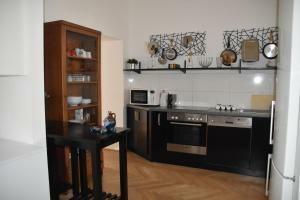 The kitchen is equipped with a new nespresso machine, microwave, oven, dishwasher. A washing machine is available in the bathroom. 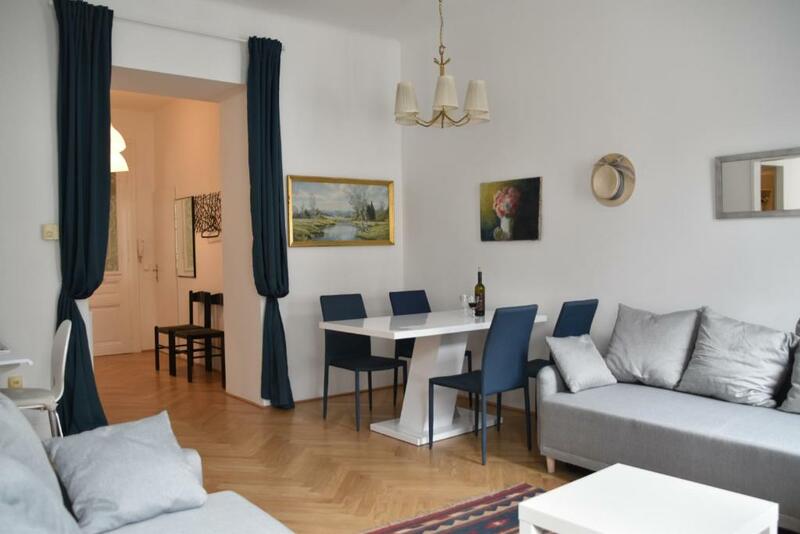 The apartment is located in Leopoldstadt, which is the name of Vienna’s 2nd district. The 2nd district is adjacent to the Inner City ( 1st District "center of the center"). The Danube Canal is the border between Leopoldstadt and the Inner City. The nice promenade along the Danube Canal can be reached from the apartment in about 15 minutes. The heart of the district - the Vorgartenmarkt is nearby and offers a variety of fresh bread, fruits, vegetables, meat and fish and nice places for breakfast and lunch. In close vicinity there are some typical Viennese restaurants and around the corner - 2 min from the apartment - is a supermarket. House Rules Lassalle Idylle next to Vienna Fair, UN, Vienna Congress Hall, University of Economics takes special requests – add in the next step! We need at least 5 reviews before we can calculate a review score. 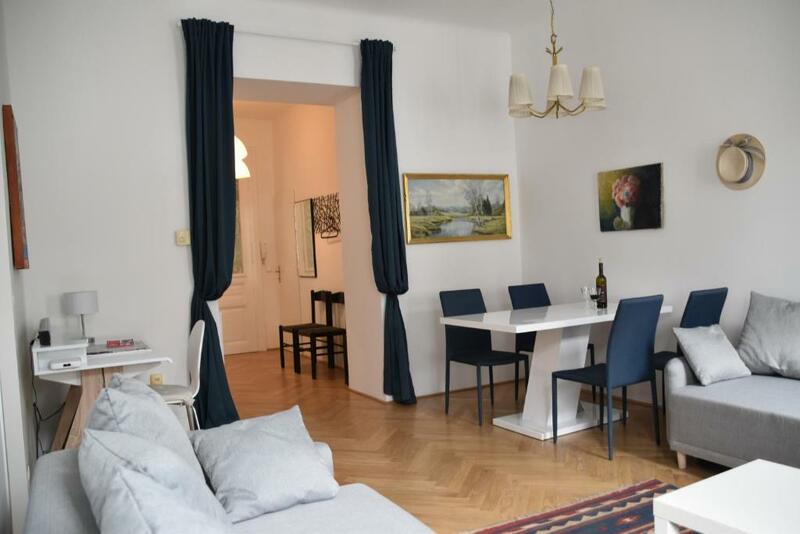 If you book and review your stay, you can help Lassalle Idylle next to Vienna Fair, UN, Vienna Congress Hall, University of Economics meet this goal.